NICOLE RICHIE NEWS: Would you like to go for a walk in the Park with Nicole & Joel? Would you like to go for a walk in the Park with Nicole & Joel? JOIN NICOLE RICHIE AND JOEL MADDEN ON SUNDAY, OCTOBER 19TH FOR A WALK IN THE PARK AND FAMILY PICNIC FOR BEYOND SHELTER. After visiting Beyond Shelter and learning that Los Angeles has the largest number of homeless families in the country, Nicole and Joel wanted to help. You can, too. Every night, 17,000 children and parents are homeless in Los Angeles- alone they find it almost impossible to break the cycle of chronic poverty and homelessness that has become the reality of their lives. 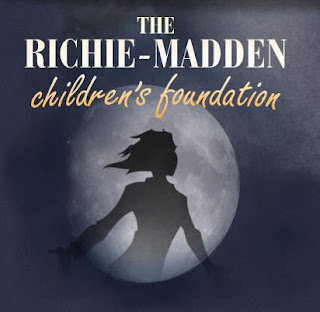 Please join Nicole, Joel, The Richie-Madden Children's Foundation and Beyond Shelter at Cheviot Hills Park on October 19th to walk for homeless families in Los Angeles. Sunday, October 19th, 2008Check-In at 8:30 a.m.Walk begins at 10:00 a.m.Picnic activities from 11:00 a.m. to 1:30 p.m.